PHILADELPHIA - April 17, 2016 - PRLog -- Fiona Thompson, the owner and designer of ear jewelry designs invites buyers in boutiques, gift shops and museum stores to offer her unique ear cuff earrings to their customers. 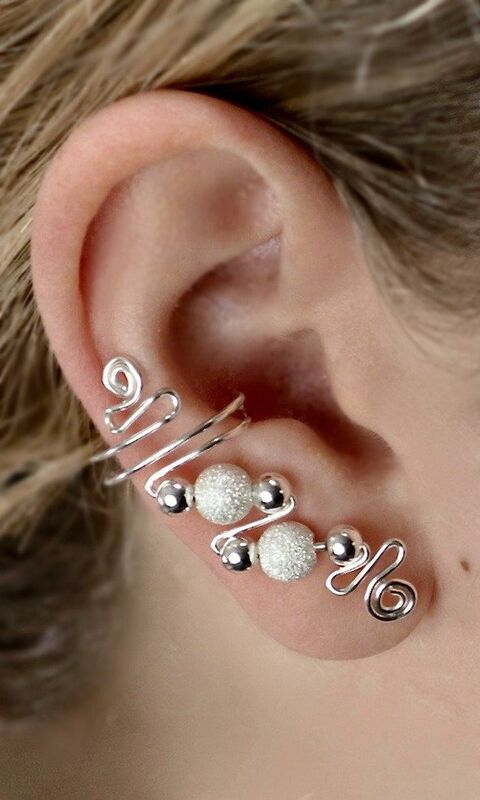 "I am excited to add wholesale customers to my offering of alternative ear jewelry benefiting ladies who have been unable to wear earrings for pierced ears because of allergic reactions, split or stretched ear holes, discomfort with clip-ons or want to wear a contemporary alternative to traditional earrings." The wholesale offering is easily accessible through the Etsy Wholesale website and open only to qualified retailers. Etsy Wholesale Membership requires a high and consistent expectation of quality with an established customer track record of positive reviews. The current wholesale offering is comprised of some of Fiona's most popular designs. The offering includes small designs that anyone can wear, and also some drop designs that are a comfortable alternative and are especially appealing for a special or formal event and are often worn by brides, bridesmaids, ladies attending a prom, or just wanting to feel special. View the Line Sheets at http://bit.ly/EarCuffsLineSheet1. The ear cuff designs are made from quality materials including sterling silver, 14K gold filled wire and polished copper, and are adorned with Swarovski beads, Czech glass beads and American artisan-made beads. A protective coating prevents tarnishing and any skin sensitivity. Orders can be placed directly with Fiona Thompson, or contact Fiona@ElegantEarCuffs.com for a link to a Guest Pass into Etsy Wholesale.